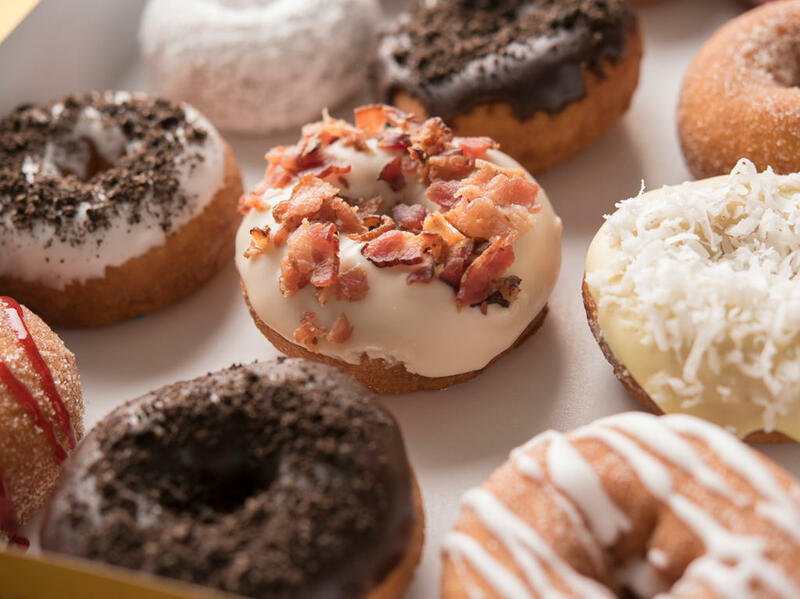 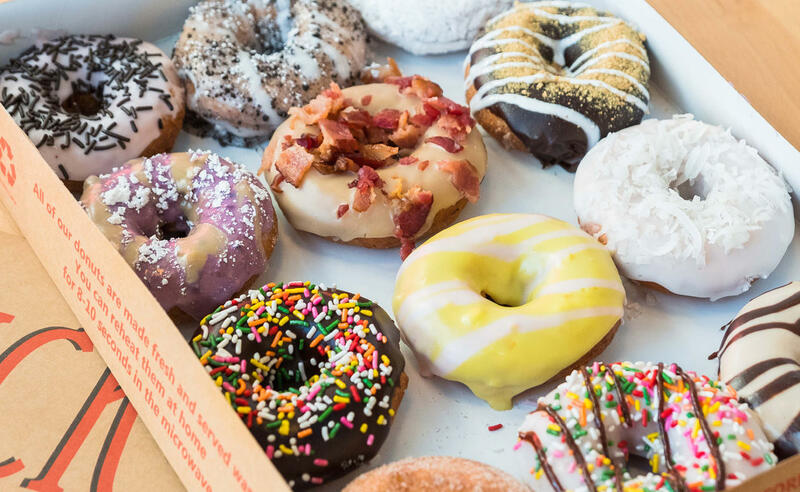 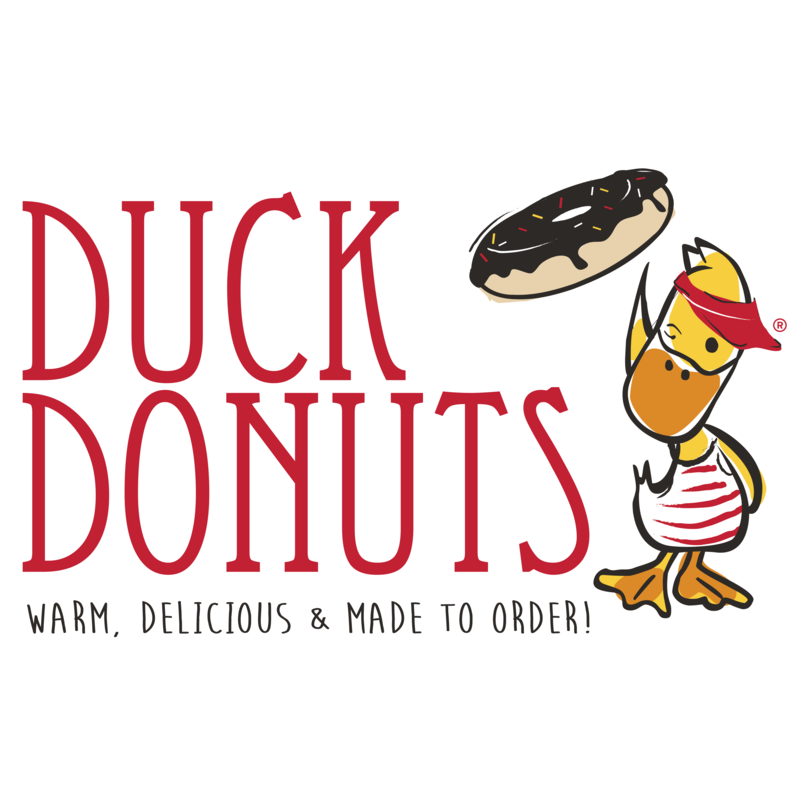 Duck Donuts specializes in warm, delicious and made-to-order donuts. 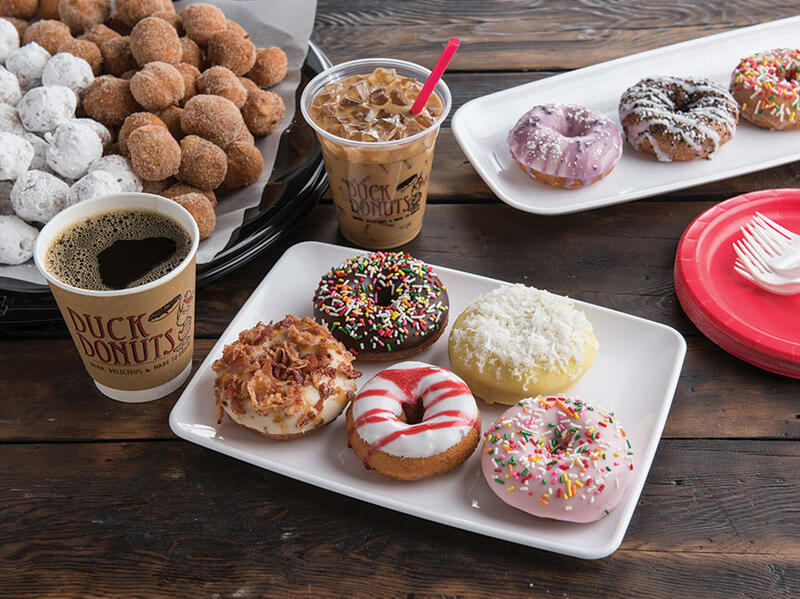 Guests can create their own donut combination by choosing from a variety of coatings, topping, and drizzles. 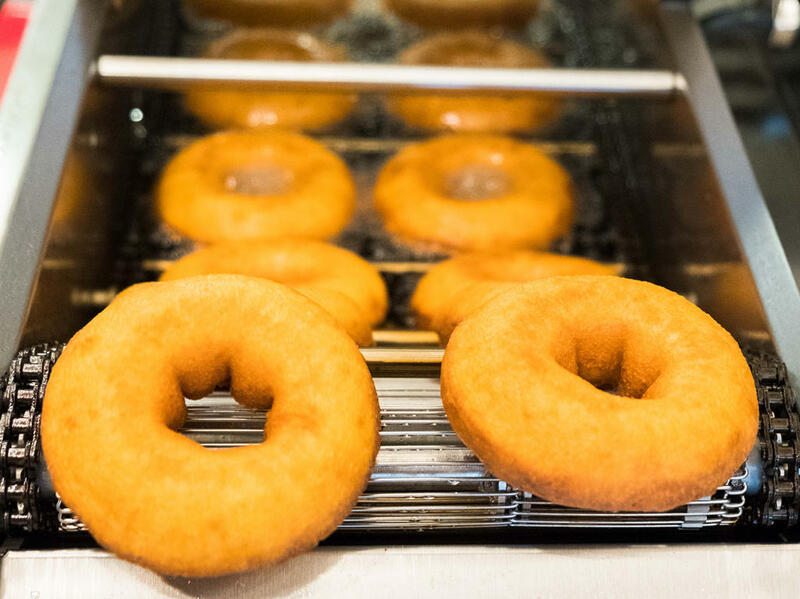 Our family-friendly location offers a viewing area where children and adults alike can watch their donuts being made. 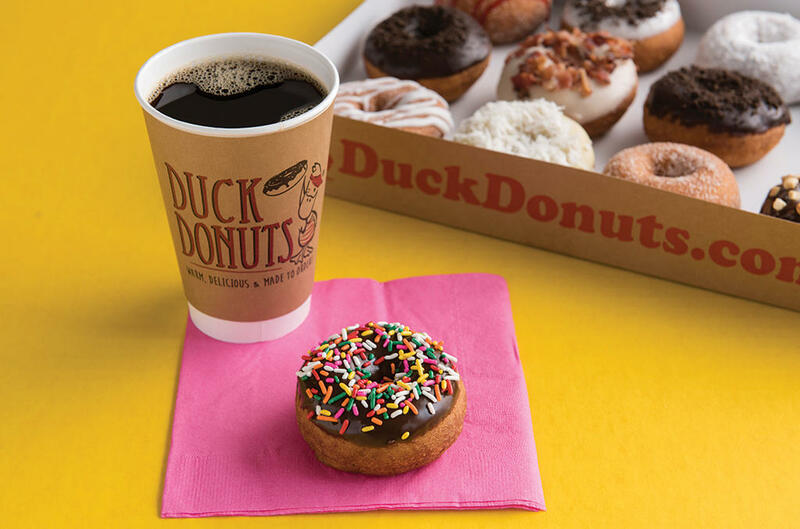 We also offer a variety of coffee and other limited time seasonal offerings.